The first book promotion site I’m reviewing is The Fussy Librarian. This site offers a lot of bang for very little buck, the promotions are still around $10 to $20, and the very hard-working chief librarian always goes the extra mile to ensure the promotion is successful. 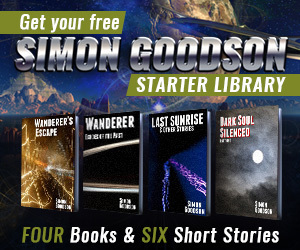 For the price these are a good chunk of free book downloads. I’ve used the site quite a few times close together and have still seen good numbers. The two empty columns are runs just after bookbub promotions when the overall stats were too distorted to work out what had happened. The first promotion did very well, the other two not so much – but for such a low price it’s still a great result. The results here vary from good to great – helped by the very low price. Absolutely brilliant results on the first promotion, and the other two are still performing very strongly. Even the worst was above 15 free where to buy doxycycline hyclate downloads per dollar, and my estimate of break-even is around 4 or 5. This site has been great for me over time. I’m starting to increase the time between promotions as I think I’ve started to reach saturation point, but having said that the size of the list is still growing quickly so new readers are always there. Overall – highly recommended. I used them last May (2015) for 8$ and listed Shades of Gray as an Urban Fantasy and had 123 downloads. UF is a harder sell though, most people want paranormal romance as opposed to UF (one FB group I know ran a poll for who reads which and UF had a 5% vote – literally.) But even so it ended up as $.06 a download so I was happy. As you mentioned, a LOT hinges on genres. I wonder if some sites are better for different genres too. I like the fact that they publish their email reach for each genre too – I’m always wary of sites that don’t, especially when they charge a lot. I used them when the website was still fairly new, and was very satisfied with it. I need to go there again! Definitely – the lists have grown massively over the past couple of years. thanks for the breakdown. I’ll give them a try now that I’ve actively begun marketing my own work after I finally realised that people aren’t going to come looking for me.